Raleigh's new Militis eTap will be available in limited numbers and assembled in Nottingham – the first bike the company has assembled in the UK in thirteen years. Raleigh has announced a new limited edition version of its Militis performance road bike, equipped with SRAM’s eTap wireless electronic groupset and priced at £6000, so cheaper than the eTap-equipped bikes announced in November by Boardman. eTap does away with wires between the shifters and the front and rear derailleurs, using wireless signalling to transmit gear change requests. The shifters are powered by coin cells while the mechs have removable rechargeable battery packs built into them. 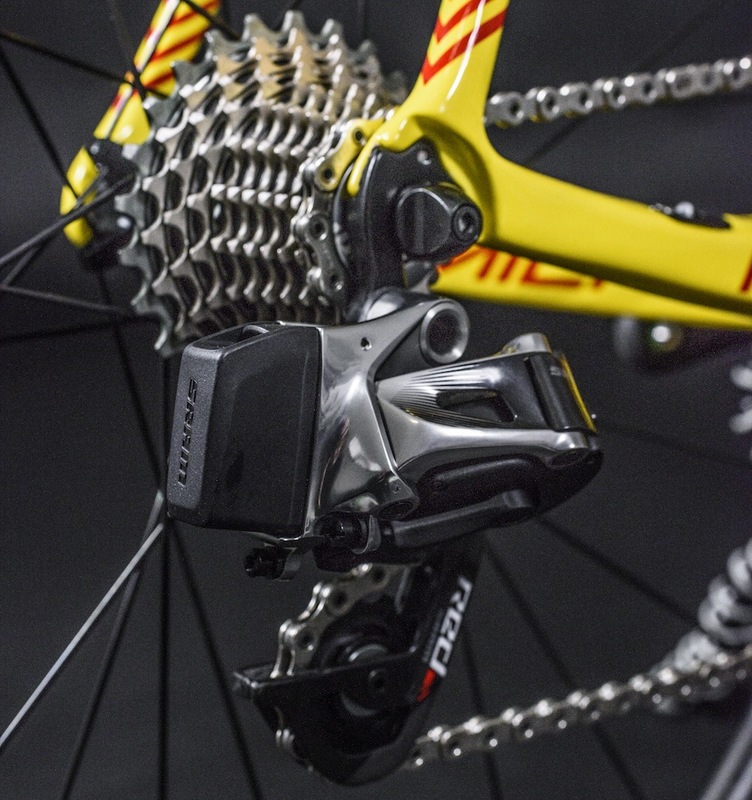 eTap also replaces the usual shifting process, where the left lever controls the front derailleur and the right lever the left, with a shifting system where the levers just control whether the gears shift up or down with the electronics determining when this shift requires a change at the front as well as the back. The company claims that its Militis frameset weighs in at 880 grams and is its lightest and stiffest frame ever. It’s the frame ridden by the UK-based Team Raleigh pro team and we rated it when we tested it recently – with lower spec finishing kit – in a grouptest in Cycling Active. Raleigh moved its bike assembly abroad over thirteen years ago, but the Militis eTap brings assembly back to the UK, being put together in the brand’s Nottingham factory. The bike is finished off with Zipp 202 Firecrest wheels with Schwalbe Pro One tyres, Zipp SL-70 carbon aerobars, a Zipp SL carbon stem and seatpost and a Fizik Arione R5 saddle. 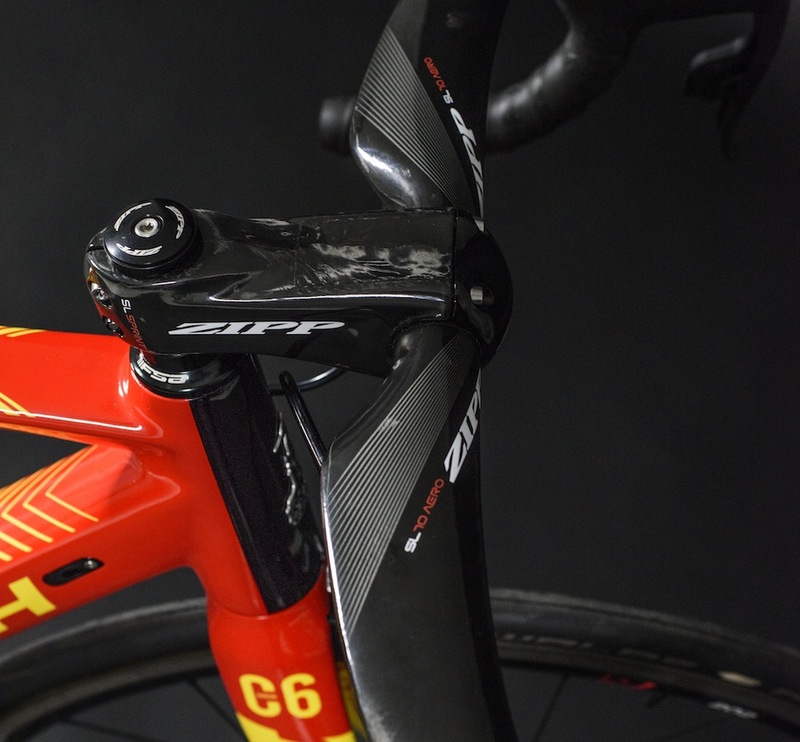 The complete bike is claimed to weigh 6.7kg. There are a limited number of Militis eTap bikes available now to pre-order through Raleigh dealers. The bike comes in team Raleigh’s distinctive red and yellow colour scheme.